Research has shown that resilience is ordinary, not extraordinary. People commonly demonstrate resilience. One example is the response of many Americans to the September 11, 2001 terrorist attacks and individuals’ efforts to rebuild their lives. Being resilient does not mean that a person doesn’t experience difficulty or distress. Emotional pain and sadness are common in people who have suffered major adversity or trauma in their lives. In fact, the road to resilience is likely to involve considerable emotional distress. How does the idea of resilience work in application to communities — in particular, multi-ethnic, multi-racial, and multi-religious communities? Shocks occur in all communities — a violent crime is committed, a fiery speech is issued, a labor crisis occurs, a harvest fails. All of these incidents have the capacity to initiate a cycle of inter-group recrimination and separation. What features of community life and organization permit a multi-group community to regain its stability and inter-group harmony? What features exist that can stop the slide into escalation and eventual antagonism and violence across groups? Here is how Paul Brass describes the emergence of violent collective action in India in The Production of Hindu-Muslim Violence in Contemporary India. Here Brass describes a dynamic process of provocation, escalation, and inter-group competition that leads quickly to antagonism and violence. And, as he makes clear throughout his book, this process is often stimulated and prodded by political entrepreneurs who have an interest in inter-group antagonism. So the question here is this: what features of community life can be developed and cultivated that can serve as “shock absorbers” working to damp down the slide towards antagonism? What social features can make a multi-group community more resilient in face of provocations towards separation and mistrust? Without pretending to offer a full theory of inter-group community stability, there are a few measures that seem to be conducive to stability. First, the existence of cross-group organizations and partnerships among organizations originating in the separate groups, seems to be a strongly stabilizing feature of a multi-group society. 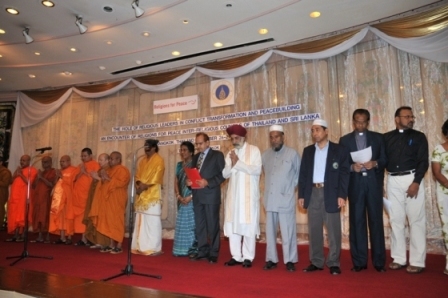 The presence of a group of leaders who are committed to enhancing trust and cooperation across group lines provides an important “fire break” when conflicts arise, because these leaders and organizations already have a basis of trust with each other, and a willingness to work together to reduce tensions and suspicions across groups. Second, person-to-person relationships across groups (through neighborhoods, places of work, or family relations) provide a basis for resisting the slide towards suspicion and fear across groups. If Chandar and Ismael are friends at work, they are perhaps less likely to be swayed by Hindu nationalist rhetoric or Islamic separatist rhetoric, and less likely to join in a violent mob attacking the other’s home and community. Neighborhood and workplace integration ought to be retardants to the spread of inter-group hostility. Third, policing and law enforcement can be an important buffer against the escalation of ethnic or religious tensions. If a Muslim shop is burned and the police act swiftly to find and arrest the arsonist, there will be a greater level of trust in the Muslim community that their security interests are being protected by the system of law. Intergroup violence is the extreme case. But the separation of communities into mutually fearful and mistrustful groups defined by religion, race, or ethnicity is inherently bad, and it has the prospect of facilitating intergroup violence in the future. So discovering practical mechanisms of resilience is an enormously important task in these times of division and antagonism presented by our national political leaders.